My mother, Betty, wasn’t the world’s greatest cook but she did a few things very well. 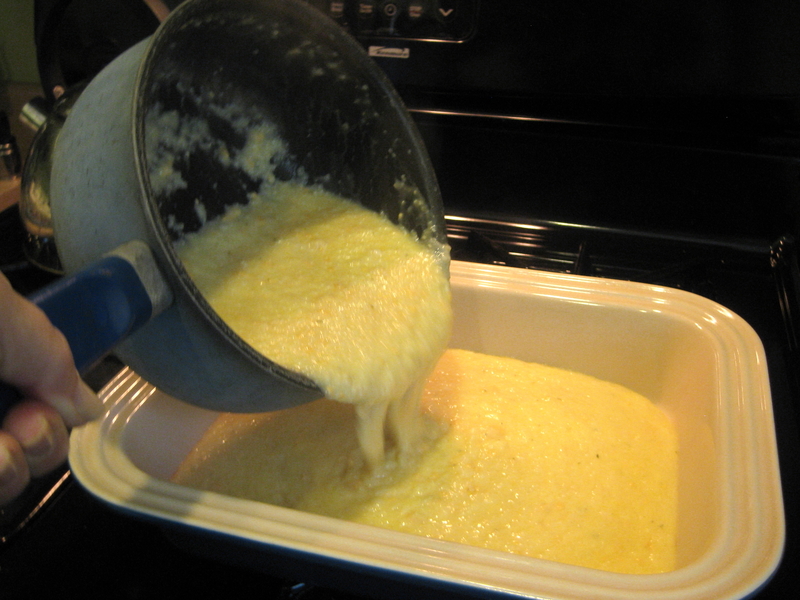 One was garlic-cheese grits, which is a great side substitute for potatoes or rice or all by itself. My daughter, Margaret, once had the flu more than 10 hours away from home and only had the strength to make one thing to sustain her. You got it – these garlic-cheese grits. She forever sings their praises and asked me to make them for this blog. 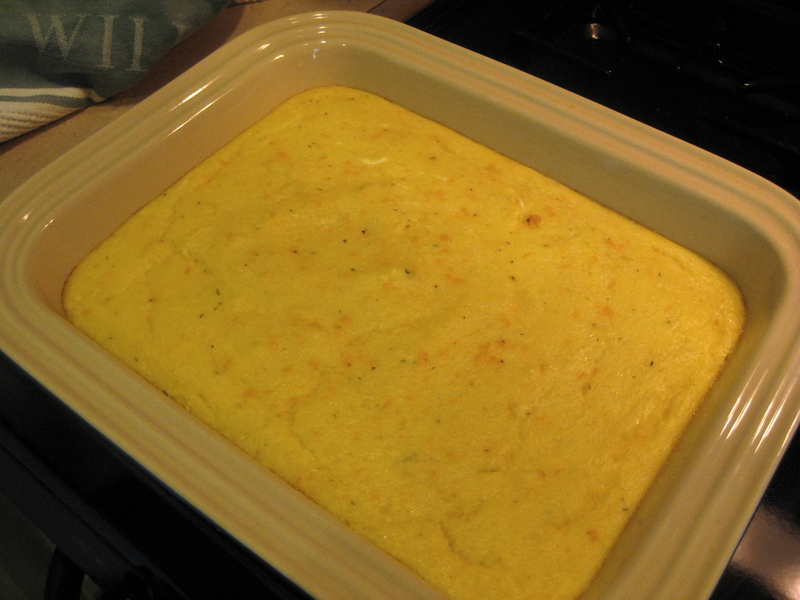 Garlic-cheese grits is perfect for a couple of folks or for a buffet brunch/dinner for company. You also can make the dish ahead of time, then pop it into the oven for baking later. 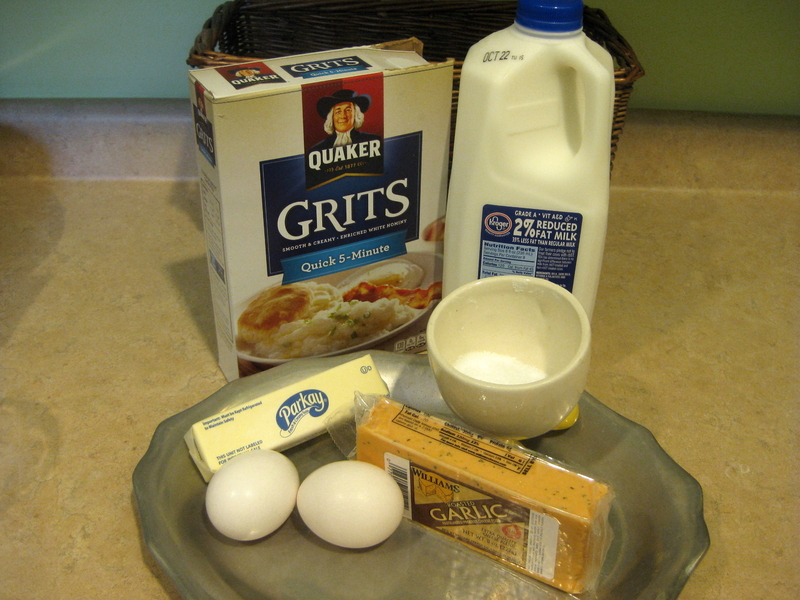 Make your grits according to the package. Here’s my advice for novices: After you pour the grits into boiling salted water, set 5 minutes on your timer and whisk about 30 seconds. Cover, reduce heat to simmer. 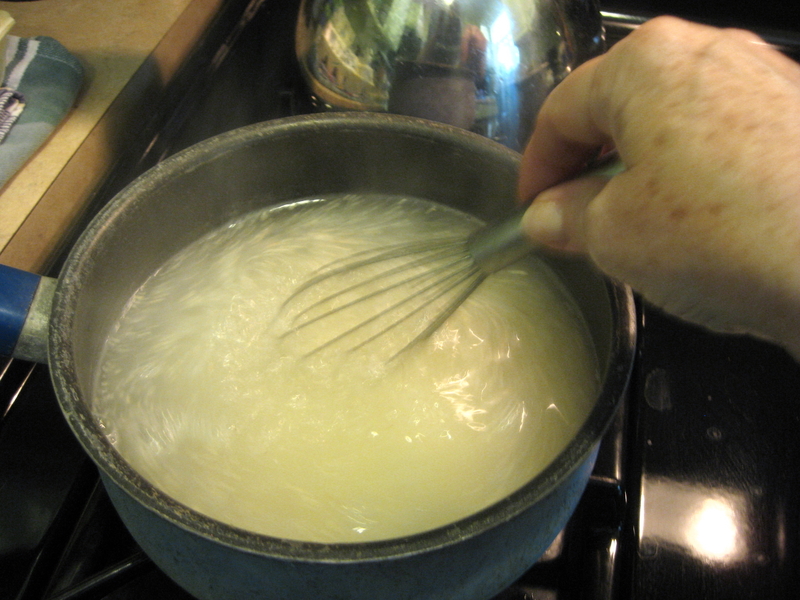 After about 2 minutes, carefully lift the lid and whisk again because you’ll find the grits has settled to the bottom. With about 1 minute to go, do the same again. Be careful because hot-popping grits will really hurt. 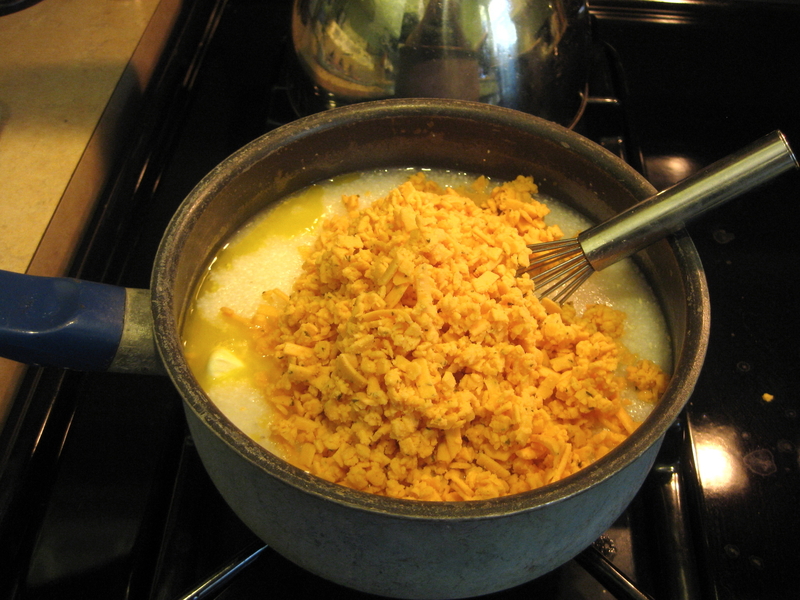 When grits are done, add butter/margarine and grated cheese. 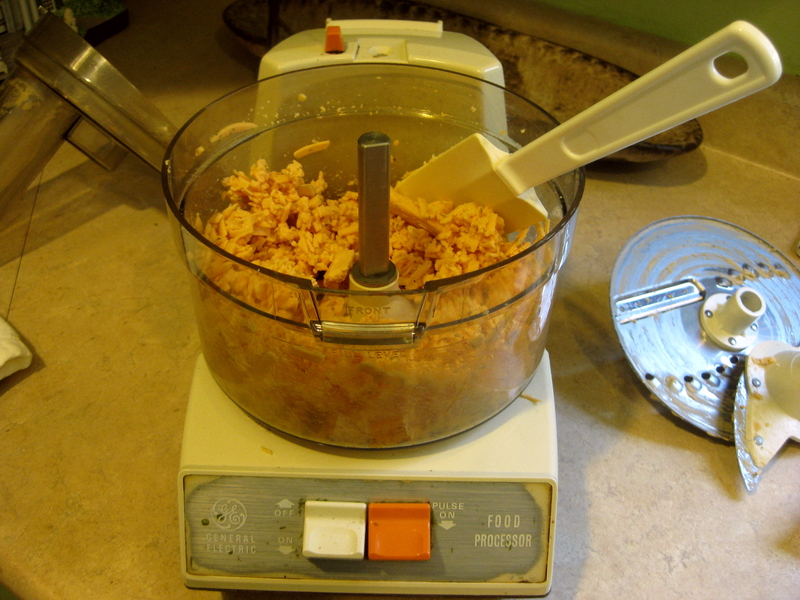 (Yes, I am using the same model food processor as you see on “Golden Girls.” Thanks, Mama.) 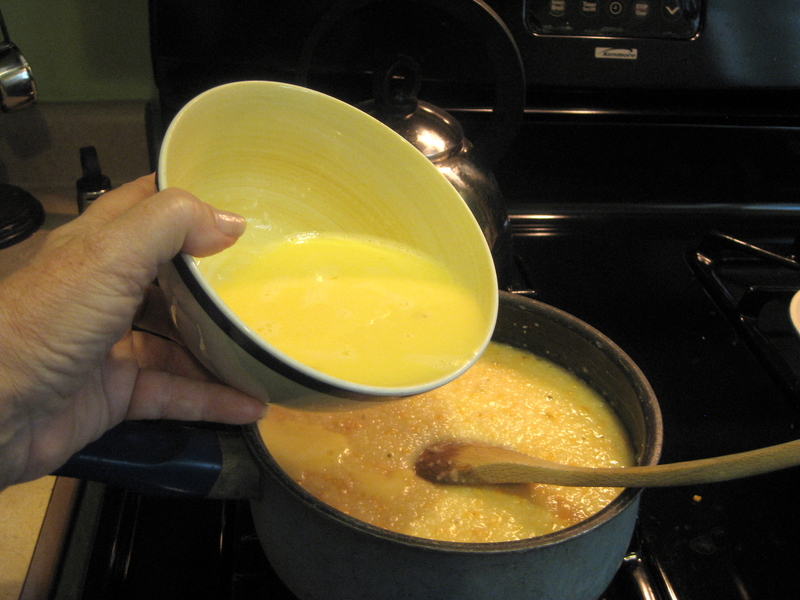 Stir to melt butter and cheese into grits. 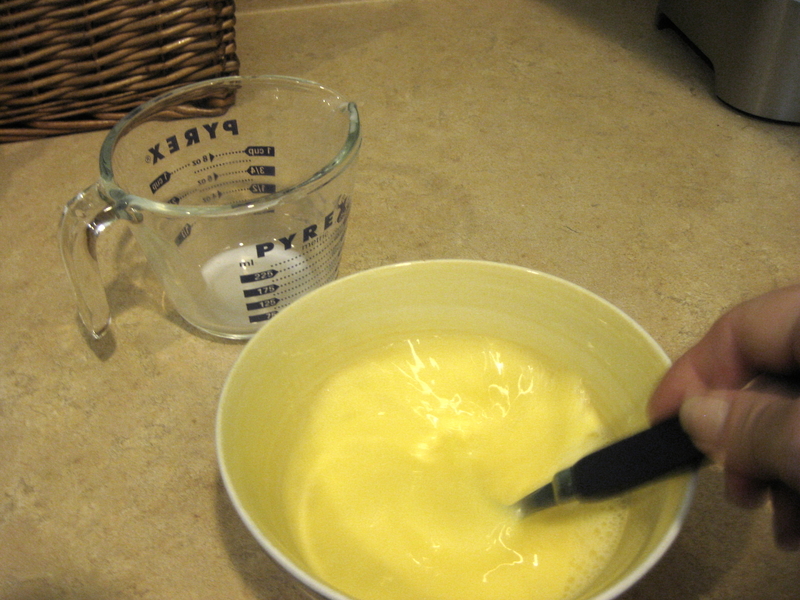 In a cereal bowl, beat your eggs well, then add milk and beat some more. Have you tried to buy that garlic cheese in a roll lately? Kraft foods no longer makes it! So irritating because it’s definitely the best for making cheese grits. @Molly – Patsy said she hasn’t been able to find the roll lately so she’s had to swap to a block. I’m going grocery shopping later so I’m going to check out the cheese aisle and see what I can find. What do you use now that you can’t get the roll? If you can’t find garlic cheese in a block. how do you substitute? Hey, Hank! I found garlic-onion block cheese at Whole Foods today. Forgot to check at Rouses and haven’t been to Dorignac’s yet. Are you local?